Do you Pin? I'm like a Pinterest fiend. Clicking that "show more pins" button is like getting a little fix. Ok, I'm not really that bad. 🙂 But I do la-la-love Pinterest! Love it to the point that I'm finding it difficult to get to sleep at a reasonable hour. I don't suffer from Pinsomnia. I enjoy every minute of it! But I can justify this time wasting because there are such good ideas–especially for school. I went and bought some rolly bins after seeing this brilliant idea from Mrs. Bond's Fantastic First Grade. At first I was afraid it would take up too much room, but it ended up freeing a whole cupboard and then I can use the space on top as an additional shelf. Plus, all that holiday stuff is neatly stowed instead of a big jumble. This idea from Sunny Days in Second Grade was a huge hit at my back-to-school open house. I first saw this Lakeshore teacher organizer on Pinterest. It's made me so much more organized and totally worth $50! I actually used this idea from Hello Literacy in a lesson today. I just copied the top part of the chart to start with and we'll add the "deeper connections" on in a few months. One of the first steps in the Daily 5 is teaching kids the steps to choose a "good fit" book. There are lots of cute posters on Pinterest like this one from Mrs. Hunt's Teacher Resources. Or this one from Laurie Exner on Picasa. Since I've got a pirate themed room, I wanted to go that route for my poster. I used the ideas from Pinterest and came up with this. You can download it here if you're also in need of a pirate themed I PICK poster. I also taught my kiddos the I PICK rap which is cute even if it sticks in your head like a wad of gum. I have a whole board of other Daily 5 ideas. I also have ones for math, literacy, science, holiday fun, general classroom stuff, writing ideas, word games, and vocabulary. If you're not sure how Pinterest works yet, Em posted an introduction a few months ago. Truthfully that's how I figured out how to get the most out of Pinterest. Pinterest is SOOO AMAZING! And I am completely obsessed with it! So obsessed my husband even gets exciting when I bring him the laptop to show him something else that I want him to make! He loves building things…especially for our kiddos! :o))) I saw your blog on FB on Pinterests site! Look forward to following! 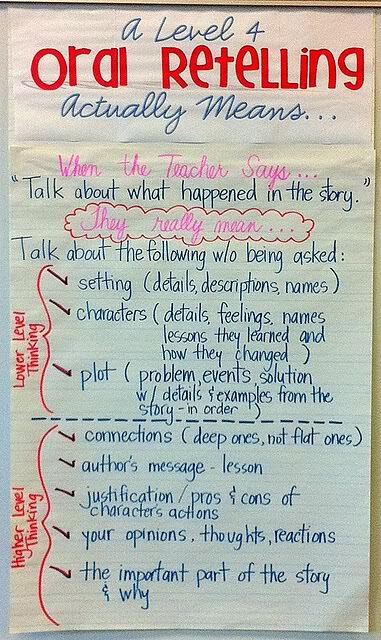 Wow….I would have love this when I was teaching! I could see how it could get crazy! Now its just recipes and decorating, and I have been falling asleep at my computer pinning lol! This post made it onto Pinterests Facebook page! Yeehaw!! I love to pin!! And my husband loves the list I have for him too!! HEHE! !